I’m talking about the Wealthy Affiliate University’s (WA) Premium Membership. Yes, I’m one of over 1 million Elite Affiliate Marketers and I do spend many, many hours within WA’s community, learning and sharing about affiliate marketing so I can make money online. I get up in the morning and check my stats on my WA dashboard, my messages, my new followers and then see if any of my affiliate sites need WordPress or plugin or theme updates approved, or if there are new comments for me to read and respond to. Then I go about my housework, sometimes planning what I will do when I sit down at my computer again. A couple of hours later I do go back to my computer and log into my email account. I check my email notifications that tell me about new posts from the over 5,000 fellow WA members that I follow. I click and read the ones that catch my eye. Many times I find new member-created training lessons, reports of affiliate sales, requests for comments on member websites and welcomes to new members. I can then click on my green Certification training button and go directly to where I last stopped in my training lessons. I’m slow doing these because I tend to skip around more than is advised. But I always have something new to learn. Each of the 5 certification levels contains 10 detailed lessons that include both video and text lectures and hands-on assignments for me. I had access to the 10 lessons in level 1 with my Starter Membership but with my Premium Membership, I now have access to all the lessons in Level 2 through 5 and the BootCamp training levels too. As I complete each lesson and do the hands-on tasks, I mark them off and my progress updates so I can return to my lessons right where I need to start again. You can see how much training is included in levels 2 through 5 and how many facets of the online business are included in the training by studying the screen captures above. Not only does WA have the Green Certification training available, WA also included a “Bootcamp” training area where you go through a similar certification model but geared toward WA’s own affiliate program to promote WA membership and get paid very nice commissions on sales. There are also 13 different “Classrooms” I can enter and read fellow member’s questions and the answers they have received. I figure I’ll have many of the same questions and I learn something new each time. This really gets my attention and I spend much time reading these questions and answers. The Classrooms are not the only way I learn from fellow members questions. My Premium membership also gives me access to the “Live Chat” area. This is open 24/7 and members all over the world are always asking questions there of the many Super Affiliate members who frequent the Chat Room. They do this because they still remember when they were new and asking many of the same questions and now they choose to “pay back” by helping others. I love this part of the WA community – the wonderful way that members help each other and learn from each other. I have never seen a forum/community that is this giving to others and shows less competition toward each other. I think it is because the owners of Wealthy Affiliate, Kyle, and Carson, are so giving and helping themselves and encourage that attitude within the membership. I can participate in the Live Chat for a while, trying to help new members and still learning myself from some of the answers given. When I drop out of chat, I check out the “Activity Dashboard” which shows much of the activity going on in chat and new notifications from those I follow. I Follow and am Being Followed! When I mention those I “follow”, I’m talking about the ability to choose the WA members I can receive notifications from when they post new blogs, articles, questions, and answers within the community. For myself, I try to always “follow” the top 200 ranked members for sure. These are the “ambassadors, the best helpers and some of the most successful members of the large community. Over time, I have chosen to follow over 5,000 members that I know I can learn from and some new ones I want to be able to help. I myself am also followed by other members. At the moment I have 2,800 followers myself. I find it great that I can keep up with these most helpful and knowledgeable members as they post about their successes, add new training for the rest of us and just, in general, encourage other members. Did I say that the community is great – well it is the best! “Jaaxy is the industry’s only keyword and research platform that was developed by affiliate marketers FOR affiliate marketers. There is an incredible number of hands-on processes that are very time consuming when it comes to your business. Keyword and competition research can now be a breeze! With Jaaxy you are getting the most advanced, yet useful platform in the world for managing all aspects of keyword, website, competition, and market research …. With over 500 Million “brand new” search terms being searched every day, it is important that you have a keyword tool that can offer accurate traffic, competition, and domain insights into billions of keywords. Jaaxy is that tool. With the Keyword Research Tool, you are going to be able to quickly discover unique, hot and untouched keywords that you will then be able to use in your content to drive your SEO and PPC campaigns to new heights. Figuring out the best keywords from Google that your target audience is searching, will allow you to create quality content that answers the questions that they are searching for answers to. This is what will bring visitors (traffic) and lots of it to your website. Using Keywords properly and the right ones are extremely important to the success of your website and its ranking in search engines like google. Owner Kyle provided some great, detailed training in using Jaaxy to find the best keywords and then shows you how to use them without getting penalized by search engines like Google for overdoing the use of those keywords. He teaches how to be balanced in creating your content with just the right amount of keyword usage. There is a lot of training available on WA about keywords and using them properly. You can see my post about “Become a Keyword Expert” here. Another nice benefit provided by the WA Training platform are weekly live video training via webinars created and taught by long time and very successful member “Jay Neill”. Jay has been a member at WA since 2007 and is a true expert at all the platform has to offer, as well as a very successful affiliate marketer. Jay’s live webinars are held each Friday and well attended and if you miss one, no problem, they are all recorded for you to watch later. The webinars cover a variety of pertinent training for the affiliate marketing field. My-Linker is a link cloaking tool. This means My-Linker shows your links as an My-Linker url and not your true affiliate link. This is similar to what the Pretty Link plugin does to give you clean looking links that just look better for selling to potential customers. Many consumers are becoming aware of the look of affiliate links and won’t click through on it. It’s psychological. Customers are becoming wise to affiliate links. So cloaking your links will help you with the sales process. “Using the “right” keywords in your advertising campaigns is a very integral part of making money online. Good keywords will deliver traffic to your website and if they are used properly (and if you use the right ones), you will make sales. Using the “wrong” keywords can bring you a lot of traffic, but will waste your advertising dollars. The false pretense is that the more traffic you get, the more money you will make. This is simply not the case and we are going to discuss why within this tutorial. Site content allows me to set goals to hit and shows my progress live to make sure I’m going to have a well laid out article before I publish it (enough headers and paragraphs etc). I can set a goal for so many words a month of created content and it keeps up with where I am. Site Content provides for a spell checker, grammar checker and for a duplicate content checker. Site content has a wonderful image function that offers free to use images for my use – thousands of them. I can organize my created content into buckets to help with organization. These tools really take advantage of the size of the community at Wealthy Affiliate. There are over 1 million members here and each can use these tools to ask and share comments and feedback on their websites. This is an awesome way to increase Google ranking through comments and engagement, as well as receive prime suggestions from other members on your site’s layout, colors, design, navigation, and content. All this is something you will not find elsewhere built into other training sites. Wealthy Affiliate offers 24/7 site support. You can submit a support ticket and usually within minutes will receive a response with solutions to or underway to solve your problem. The site support team is polite and thorough in doing their jobs. 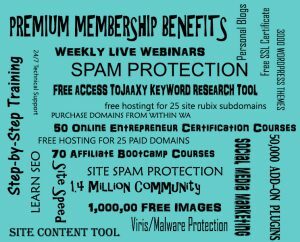 The Site Rubix tab is where you build and manage the up to 50 websites included with thePremium Membership (25 free siterubix.com sites and 25 free paid domain sites). 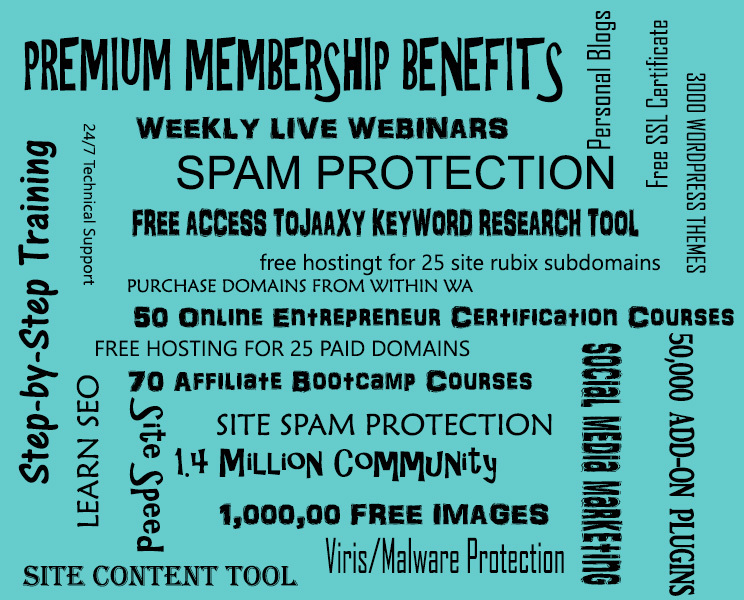 You create either free or purchased domains within the site rubix tools, install WordPress, WordPress themes (you have over 3000 of them to choose from), and WordPress plugins (there are thousands of them available within the platform). Site Rubix gives you access to full control of your website pages, posts, menus and plugins as well as its security, site speed and spam protection. You will find the Site Content tool here as well as Site comments and Site Feedback and lastly Site Support. Of note is the Site Health function within the Site Manager. This allows you to see where your site is in several areas and what you need to improve on. You probably have been reading about all these incredible benefits of the WA premium Membership and thinking “WOW, it must cost so much”. Affiliate University has to offer their Premium Members. WA offers a wonderful “FREE” trial membership that lasts a week, so you can see and test out the great training and tools provided on the platform and also check out the member community you could be a part of. During the 7 day trial, if you decide to upgrade to Premium Membership, you get a discounted first month. The first month will cost you only $19 with the following months costing you $49/month. That totals up to $558 for that first year. However, if you can possibly pay yearly, the annual payment is discounted to $359 (a savings of almost $200). Then your monthly fee’s work out to only $29/month instead of $49/month. $29/month is about the cost of a steak dinner for two with a nice glass of wine. Surely the WA Membership is worth that and you will eventually be making more than enough to cover that cost. But, there is yet another discount you can take advantage of once each year. Thanksgiving. With this special, you can pay only $299 for a yearly membership. As I have been writing down all these WA benefits included with my Premium Membership, I find myself sold once again on the benefits of my membership here. In fact, the more I think about it, I figure this is the best $25/month I have ever spent. I can’t see where I might have gotten the extensive training, the tools, the excellent hosting, and the great community I’ve found here at Wealthy Affiliates anywhere else. I have no problem sincerely and honestly recommending Wealthy Affiliate University’s Premium Membership to anyone who is truly wanting to learn about Affiliate Marketing and building WordPress websites as well as hosting them and would like a proven training platform. I can’t afford to lose the Premium membership as well, Shirley. Since you’ve got everything covered right here, I’ll just share my thoughts on the use of time. The best thing about having known and engaging in this platform and industry is to be able to use my free time in a very useful endeavor. With how you related your daily schedules, I’m sure you and other members feel the same way! Great post! I like the schedule you follow. It is good to walk away from the computer and take a break. You come back refreshed. And I totally endorse the Wealthy Affiliate Programm. If one follows the training to the end they will come out ready to be an online entrepreneur. Wow, all the information needed is right here. Wealthy Affiliate is an awesome service that really does give people the opportunity to earn money from home and the community is constantly supplying support and ideas. Wow, your day is quite busy now. How do you check emails from 2400 people every day, is this necessary to have success in the online business? 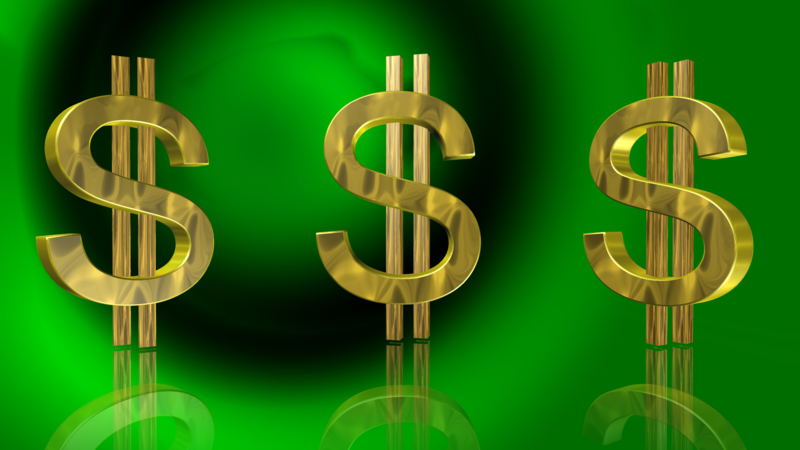 I understand, Wealthy Affiliate offers a whole lot that is needed to make a blog or any website. $25.00 per month is also a price better than most or all I’ve seen before. What I am a bit afraid when I look at all the things you do and say are available, is it not almost overwhelming all this website operating?